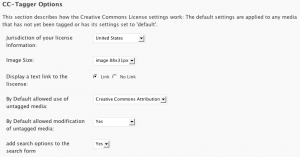 This plugin provides the ability to tag media in the media library as having a Creative Commons (CC) license. The license shows up on the attachment page and is optimized for search engines (SEO) using RDFa metadata. 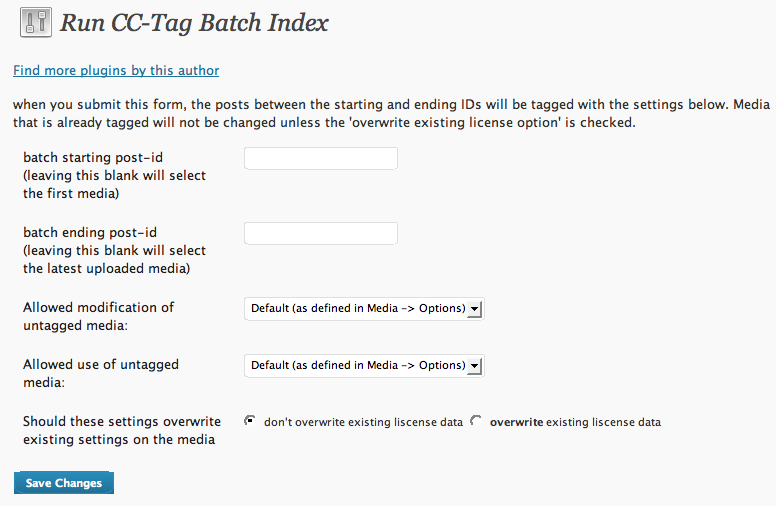 It optionally extends the search form to allow searches for CC-tagged media. 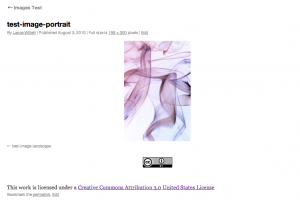 It can display a text link to the license, an image link to the license, or both. Click here to download cctagger.zip. 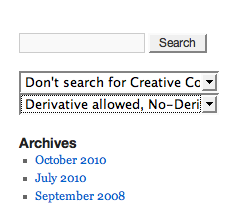 The CC-Tagger free WordPress plugin is licensed under the GNU Public License v2.0 (GPL2). You are free to use and modify the plugin as you see fit. 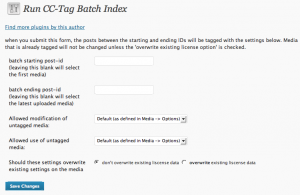 Will tagging the pic using your plugin be sufficient? 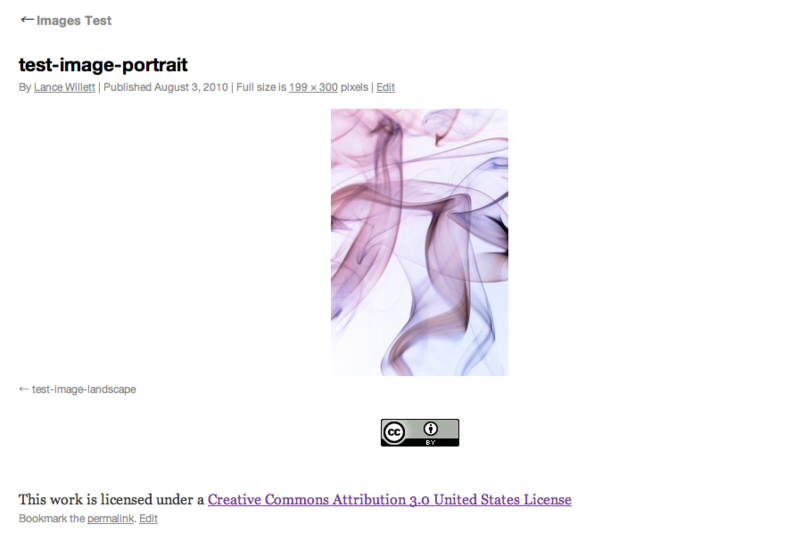 The purpose of the plugin was to be able to tag photos you created as creative-commons. You could upload the image and specify how it is to be attributed in the image’s description but that may or may not be sufficient attribution. You may need to attribute content in the context it is presented in. I can’t advise you what constitutes proper attribution for the medium and what does not, but I can suggest reading the full Legal Code especially section 4c. Given your background, you can probably understand it better than I could. Don’t forget that you can negotiate alternate usage rights with the original content owner and that the original content owner is capable of waiving his or her rights including attribution. You may want to ask on Mohylek’s Wikimedia talk page what he or she considers proper attribution etc. 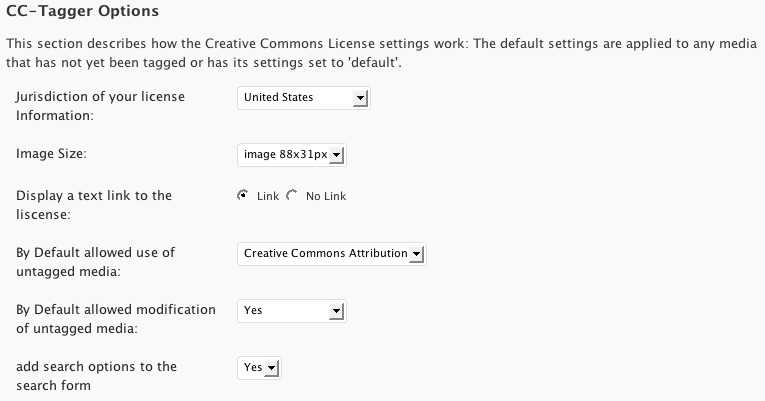 Would love to be able to use this plugin… unfortunately you don’t provide the ability to mark images as public domain. Why not provide options for all CC license designations? I’ll look into adding this as a feature. In the meantime, using cc-by and waiving attribution effectly does something similar.